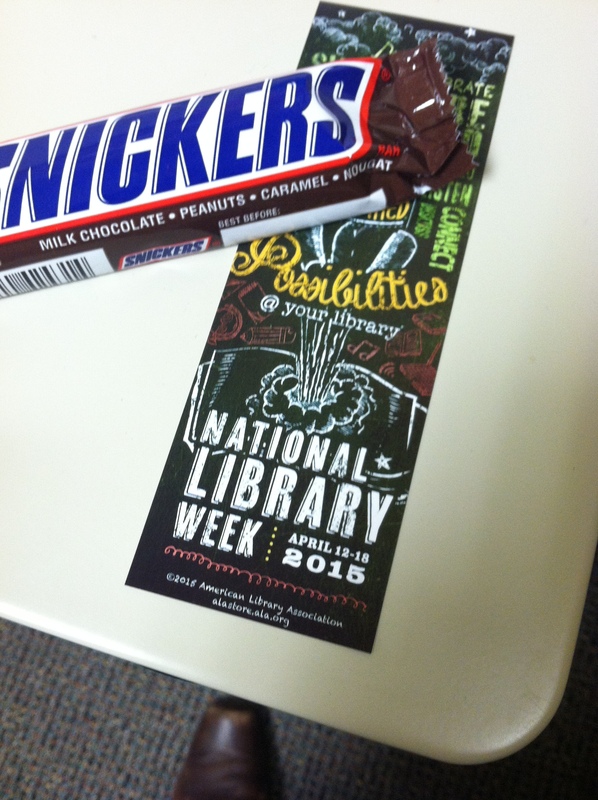 Candy and a bookmark. It’s a good week. Happy National Library Week, everyone! Our admin team knows how to make their people feel special, and hand delivered little treats to all the faculty and staff. The American Library Association‘s campaign this year is “Made in the Library.” I love the output of makerspaces, but my favorite items made in the library are librarian music videos. Please tell me you have seen librarian music videos. Librarians + Pop + video camera = something hilarious and unexpected, every time. Here in Kansas, the Topeka/Shawnee County Public Library has a new hit, but my favorite remains University of Washington’s take on Lady Gaga.